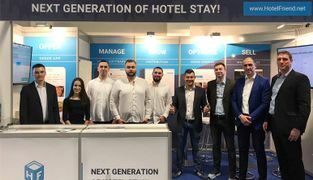 HotelFriend is a game changer in the travel industry, a top-notch platform, which offers a unique and innovative approach to hotel management. We can be there for you at every step of the hotel’s development, whether your goal is to Manage, to Grow or to Optimize. We are the one software solution for your many tasks. Let’s find out why. We are not new to the painstaking hospitality business and know your concerns all too well. These often keep you up at night, right? The smaller the business, the greater your responsibilities for the growth and visibility of your hotel. The bigger the business, the more it spirals into chaos. Customer expectations are constantly moving toward an unprecedented scale of efficiency, comfort, and usability, making it harder to keep up with than it has ever been. We don’t need to tell you (hopefully) that meeting such demands with the old-school approach, using outdated software, not to mention paper books is merely impossible. So nowadays, being tech-savvy is no advantage for hoteliers, but a must. If you don’t want your establishment to be “just another hotel,” but rather your guest’s favorite one - welcome aboard! 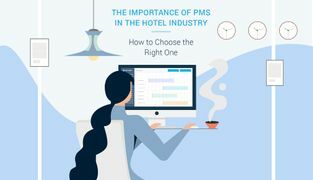 It should come as no surprise that the most common (and sensible) way to manage reservations, check guests in or out as well as communicate with staff, prepare bills, reports and solve a bunch of other essential tasks is a PMS, which stands for Property Management System. 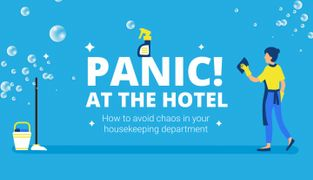 This is the heart of any hotel, as a PMS contains the most vital information about your guests & property, so it must function properly, as you can imagine. If you consider installing one you already won half the battle. The other half is to find the one from an immense range of systems on the market, that would be an optimal solution to all of your problems. There is still too much out-of-day software on offer, that boasts only basic features, insufficient for a (to-be) successful business. Frankly, these are not even worthy of the attention of those, who know the value of time and money. The next stop is cloud-based PMSs, that generally cope with most of the work, making a considerable number of programs and pricey hardware obsolete. They are mostly easy to use, transparent, secure, synchronized and updated continuously. The real question is “which one is the best?”. Although none of them seems to stand out in any way, the majority of your competitors are very likely to settle for cloud-based systems, seemingly the lowest fruit on the tree. But why should you? The goal is to leave them behind, after all. 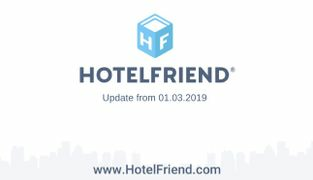 Look no further, HotelFriend got your back in the new era of hospitality. We could go on and on about how seamlessly our PMS works, how it helps you to manage your house and increase revenue, just like any other company would do. But all this goes without saying; otherwise, there wouldn’t be much to talk about. The point is, your hotel has much more potential in store than it fulfills right now. And we know, how to solve this problem. Most people believe that rooms are the cornerstones of guest experience, whereas it’s the service that truly counts. Think of all the amenities and goodies available at your house. How often do they go unnoticed by customers? Why are they so hard to sell at times? Because it's long overdue to do so in a fresh new way. Naturally, it’s all about mobiles. The number of smartphone users worldwide is growing every year, people are already used to do pretty much everything from the palm of their hand. This is why your whole hotel should be at their fingertips too, featuring an intuitive as well as convenient interface. And that's where we come into play. 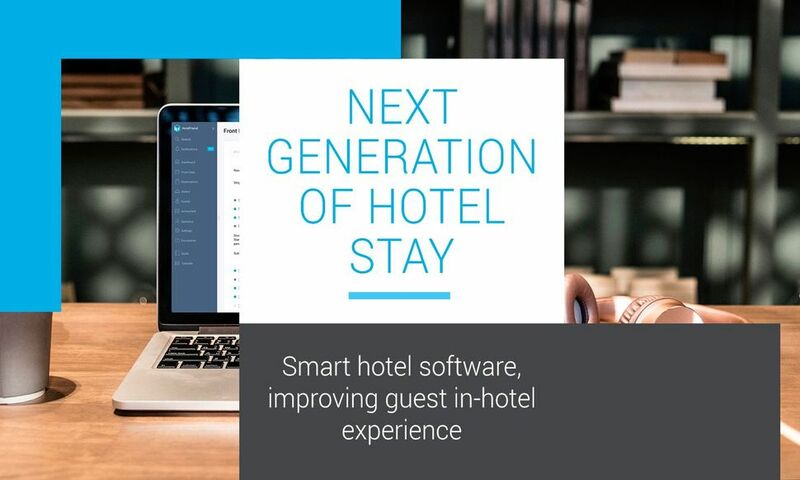 The HotelFriend software allows you not only to communicate with clients and staff effectively, be in control of every department, every reservation, every cent you make but also to go digital with your services, create and customize them, taking customer satisfaction to a whole new level. 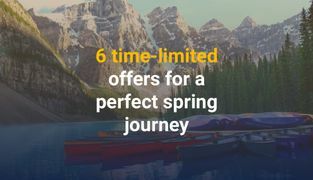 What is more, you can combine handpicked services with an overnight stay and come up with favorable package deals, that will leave nobody cold. Sell them directly on your website; alternatively, our marketplace is also at your disposal to sell more. Just with a few taps & swipes a dull hackneyed booking process turns into an entertaining experience with an opportunity to order a welcome drink upon arrival, a full-body massage in the evening or a candlelit dinner for two right into the room in advance. Your guests will absolutely love such a forward-looking approach and impeccable provision of services. Enhanced guest loyalty won’t be long in coming, and your hotel will be on everybody’s lips. 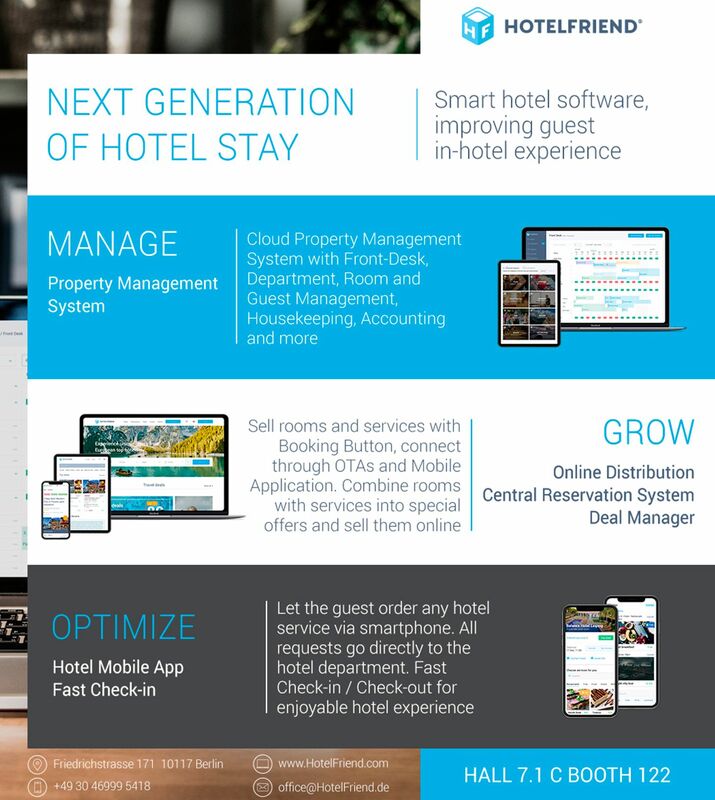 This is a complete rethink of hotel software, which is easy to integrate and requires no additional implementation costs. 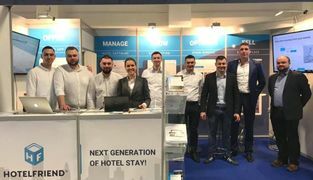 Hundreds of properties already boost their efficiency and make profits with HotelFriend. We can’t see why yours isn’t among them yet. Get your free trial now, no credit card required, no strings attached. Rise up to the challenge and become your guests’ favorite hotel!